Adrian Cygan was born in 1989 in Lodz, Poland. He received his first cello lessons at the age of seven. In 2013 he finished his Master Programme at the Academy of Music in Lodz with Prof. Stanislaw Firlej. During school and studies he participated in international orchestra courses as well as master courses and was dedicated to chamber music. Until 2012 he played both inside and outside of Poland with his string quartet Navis, for example at the Juilliard String Quartet Seminars. 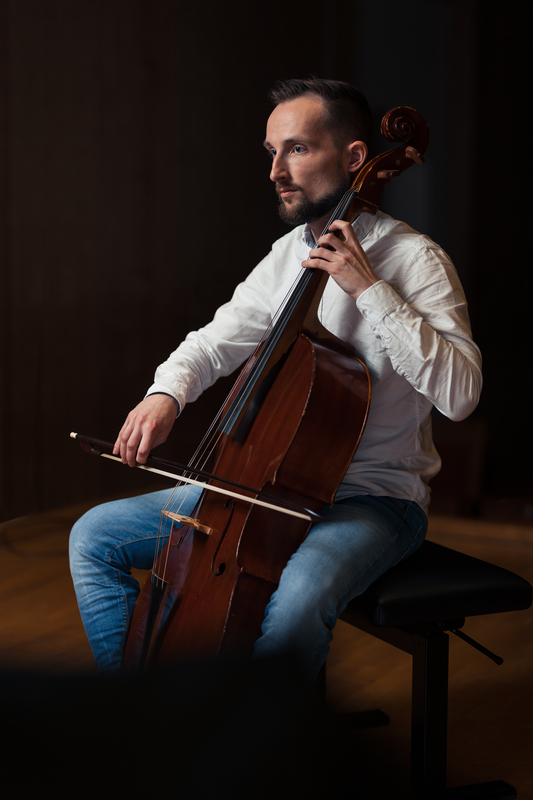 Since 2012 he has developed an interest in historically informed performance practise, taking lessons from a number of distinguished cellists (Phoebe Carrai, Nicholas Selo, Guido Larisch, Jakub Kosciukiewicz). In October 2013 he began his studies in baroque cello at the Folkwang University of Arts, Essen, with Markus Möllenbeck. With the Cicerone Ensemble he reached the semi-finals in the 2014 Van Wassenaer Concours in Utrecht. They received a scholarship during the Deutscher Musikwettbewerb in Lübeck in March 2015. Since 2014 he is a member of the early music ensemble Interrogatio in Würzburg.